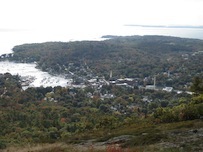 Pictured above: The lovely Maine Coast in Camden. The Coves is North Carolina&apos;s premier Gated Mountain Community. With 5+ miles of river frontage and 50+ mile long range views, The Coves is loaded with built-out amenities for 365 days of activities and events..
Roth IRAs are so misunderstood. But they can be a very effective retirement tool if you understand how their advantages and limitations fit your individual situation. Here are 5 situations where at least a partial conversion makes sense. The coast of Maine is fabled for its rocky bays and charming small towns. Camden is one of the best of them, very popular with people who come here to enjoy the summer and the waterfront. 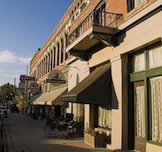 Click on a state to see reviews of 850 great retirement towns, plus capsule summaries of 1,765 active adult communities. Have you noticed that people who are young at heart are a lot more fun to be around? Here are some different tips on how can feel younger, and be a lot happier too. Out in one of America&apos;s most tax friendly states is the small and authentically western town of Buffalo. It has everything a small town should, but if you need more you can find it a short drive away in Sheridan. People who love the outdoors will really appreciate Buffalo.